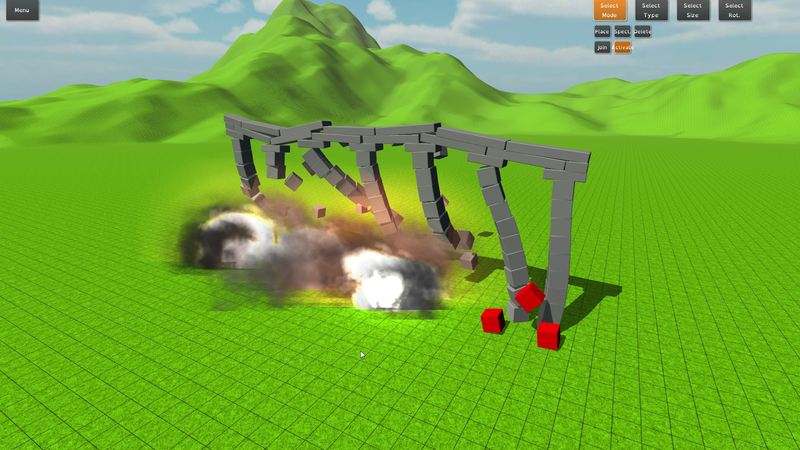 As mentioned before I worked on the Sandbox mode where you can basically build whatever you want. Most time I spent on the save/load-system because I had a little bug which took much longer to solve than I though. The system takes all the relevant information of each block and writes it into a file on a specific directory on the hard-drive. 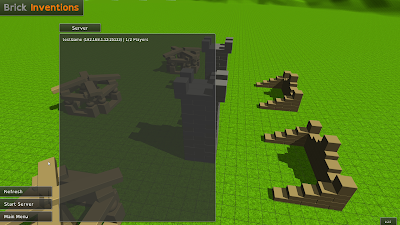 So it will also be possible to give a map you created to a friend or other persons. Besides the Sandbox mode I tried to make the game more beautiful. The first thing I thought was to get rid of the old User-Interface which was actually just a place-holder for the "real" UI. I experimented a bit with different designs and finally implemented the one you can see in the video/screenshots. The second thing was that I changed the lighting in the game. Furthermore I added the awesome real-time shadows that come with the free version in Unity 4.2 (I have already written about it in the previous blogpost ;) ). Besides the bigger updates, there are also some minor changes like new blocks that mark the build area of each player in the single- and multi-player mode. I also spent much time in fixing several bugs and also some other changes in the code.